One of the great joys of being on holiday is the opportunity to sample what the local scene has to offer in terms of cuisine. While every destination has its own exciting and delicious local dishes, there are those places no one seems to dispute have a motley of delightful offerings that are nothing short of a sensory delight. The local Majorcan cuisine is an extension of the island’s food history, with a bias towards the island’s Mediterranean setting. Epicureans will definitely notice the Roman, African and Spanish influences, all bunched up into one amazing style that everyone should make a point of trying at least once in their lifetime. Traditional Majorcan cuisine makes full use of fresh fish, meat (mainly pork and other pig-related meats) and fresh local vegetables. Lots of fresh vegetables. So obviously vegetarians are well sorted. You can also throw in the tasty fruit – the local almonds, walnuts, olives and Ramallet (a type of tomato native to Majorca). You’ll find fish in almost every restaurant, and lobster, prawns and sea bass are quite the hits here. The same goes for pork dishes which vary widely. Pork sausages, for example – a very popular delicacy in Majorca – have an outrageous array of options to choose from, with some top selections including the likes of sobrassada (minced pork with red pepper) and botifarro (cured pork with blood). On the vegetarian side of things, the tumbet is a true classic. It resembles a ratatouille, and includes potatoes, aubergine and peppers. It can be accompanied by bread as a side dish, although there is a popular main that goes by the name Pa amb Oli, which essentially is bread with oil. Speaking of oil. Another common feature of traditional Majorcan food is olive oil, a traditional resource that has played quite the pivotal role on the island’s economy through the centuries. It comes in two: the fruity kind which is picked earlier during harvest season, and the sweeter variety extracted from riper olives. This one is sweet to the taste, with a sharp feeling. Genuine olive oil doesn’t come any better. What will strike you with Majorcan gastronomy, aside from the diversity, colour and flavour, is that the produce is amazingly fresh, so don’t be surprised if your lunch comprises fresh catch from the morning and avocado plucked from just across the neighbour’s tree. All products are locally grown and sourced from the island, probably with the exception of summer when demand easily outstrips local supply. But it’s back to business as usual when the tourists pack their bags and the island is left to take a breather and replenish. When indulging proper, it’s not complete without some local Spanish wine by the side, probably a glass of traditional Majorcan Herbes liquor to wash it down. 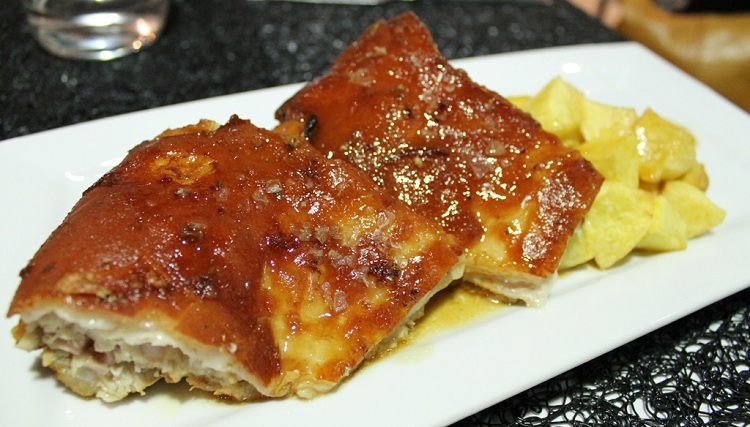 So, what are some of the Majorcan dishes that should be on your list of must-tries? In no particular order, below, we take a look! 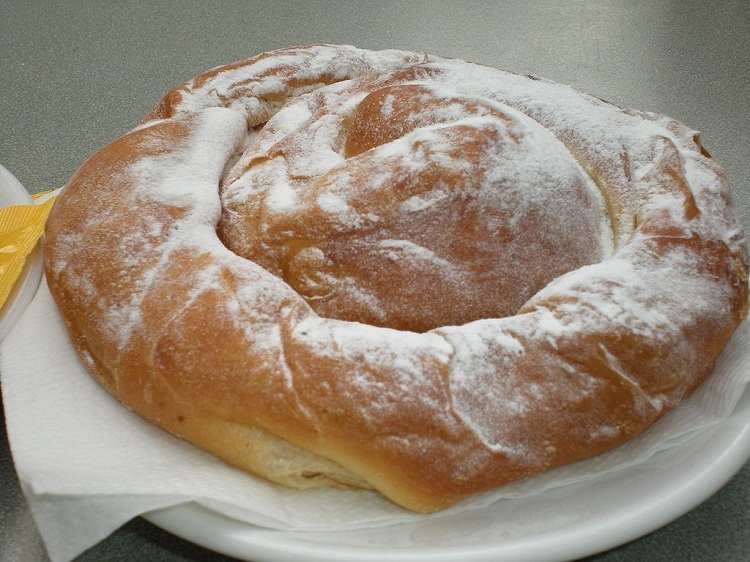 Ensaimada – First on our list is this mouthwatering yeast bun which dates back to the 17th century. Attempts to borrow the sweet croissant-like pastry’s recipe and try it off the island have proved futile for many. The reasoning goes that the sea air has some form of effect on the rising dough which gives it that characteristic taste. But you can still carry some lasting supplies, as you’ll often encounter many visitors doing at the island’s Palma de Majorca Airport. 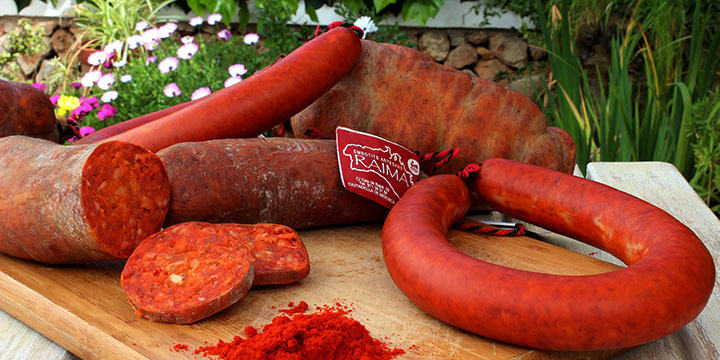 Sobrassada – This a traditional cured sausage comprising pork, paprika and a potpourri of other spices that culminate in this great-tasting traditional Balearic meat. It can be consumed as is (baguette), spread as a pate or used as an ingredient in the preparation of main dishes. Tip: Try some fried sobrassada with honey – let us know what you encounter! 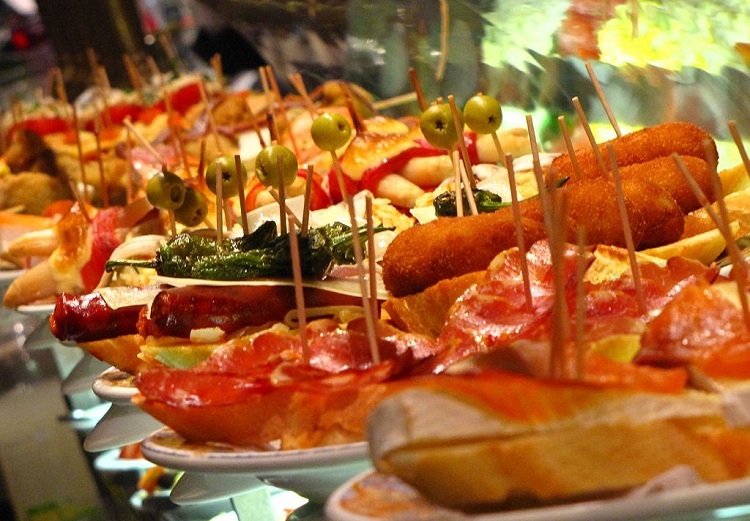 Tapas – It’s a sin to do Majorca and fail to try the delicious tapas, a ubiquitous snack not just in Majorca but in Spanish cuisine. Tapas are a great way to sample many different canapes, and you’ll find them in almost every restaurant you visit, with even dedicated first-class tapas bars to satisfy your tastes. Think of them as meat balls comprising various ingredients, then dipped in appetising spicy sauce. With tapas, digestion usually starts from the hand, as you enjoy a direct conversation with no forks and knives to get in between you two. Porcella – Pork lovers will absolutely relish the porcella, a type of roasted pork prepared from suckling pigs. This is one of the most famous dishes on the Balearic Island, and is in fact a traditional favourite during Christmas dinner, although it’s enjoyed all year round. You’ll appreciate the tenderness of the succulent cuts, and the flavour itself is out of this world. Frito Mallorquin – Another traditional dish with a long history stretching as far back as the 14th century, probably with some Jewish roots. And here’s why. The recipe is an assortment of meat (usually lamb or pork), mixed with chopped liver, intestines, potatoes, onions, tomatoes and pepper, then fried in (you guessed it!) olive oil, and some garlic. It’s probably not a food for the light stomach, but it is absolutely scrumptious! This is just the kind of dish that needs to be chased down with some good, strong stuff. 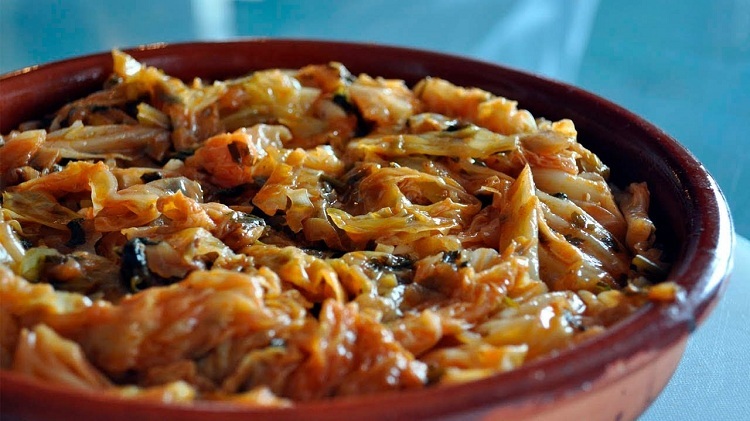 Sopas Mallorquines – A vegetable dish comprising a base of seasonal vegetables, probably with some meat or pork thrown in during preparation. It’s quite simple really, but it packs a punch on the flavour side of things. This is thanks to the ‘sufficient’ level of garlic, coupled with a mix of local herbs and seasoning. Tumbet Mallorquin – While we are speaking mallorquins, vegetarians have something to look forward too. 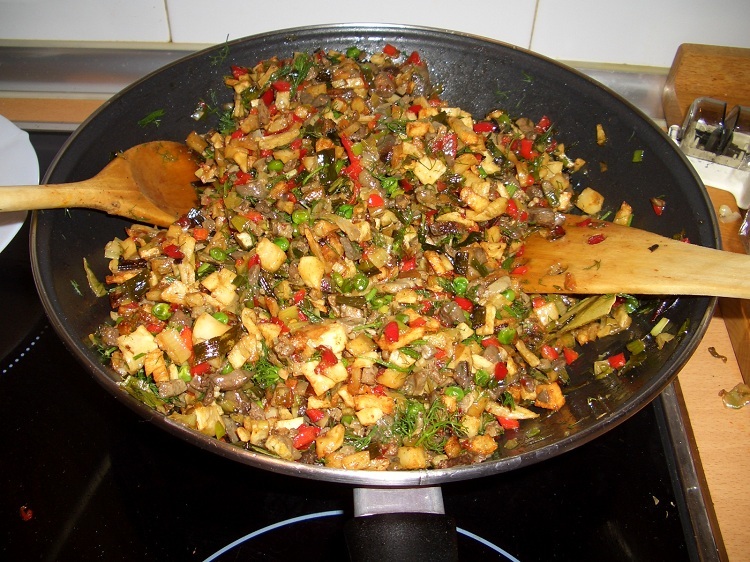 The tumbet, as earlier mentioned, is a Spanish version of ratatouille. It’s made from lots of fresh local vegetables and ingredients sourced from the local market, and can be enjoyed as a side or a main. Arros Brut – Dirty rice is the literal translation of this nutritious rice-based stew. It comes in multiple varieties, but the basic ingredients tend to be rice, various meats, a variety of vegetables and mushrooms – all brewed together! Pa amb oli – As with tapas, the pa amb oli is so popular in Majorca that there are restaurants that specialise in it. We also did mention that this is basically bread and oil, but its simplicity can be deceiving, as you’ll find out. You can have it at any time of the day, even as a light dinner with spread tomato, salt and, of course, olive oil, with a range of cheeses and cold cuts as accompaniments. Calderata – Sea fare fans will relish this dish in all its varieties. It resembles the arros brut, but its constituents are always changing so you’re never sure what you will find. What you can be certain about though, is that it’s not short of fish and seafood goodness! The big industry that gastronomy is in Majorca means you’re are always guaranteed some great dining options wherever you venture on the island. 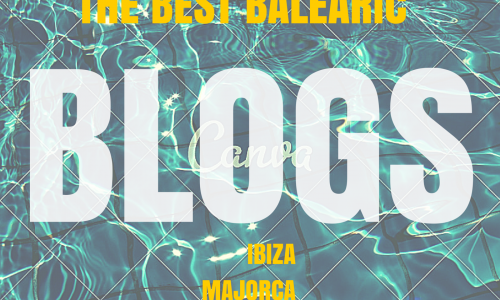 However, there are certain spots that always make the headlines on this front, including the capital, Palma, as well as resorts like Alcudia, the famous Magaluf, as well as Arenal where you will find more than just traditional Majorcan dishes: there are hundreds of restaurants serving superb British, Italian and German grub. Whatever choice you end up making with regard to dining options, you can rest assured you won’t be disappointed, regardless of your tastes. Feel free to hit us up for some great recommendations around the island!